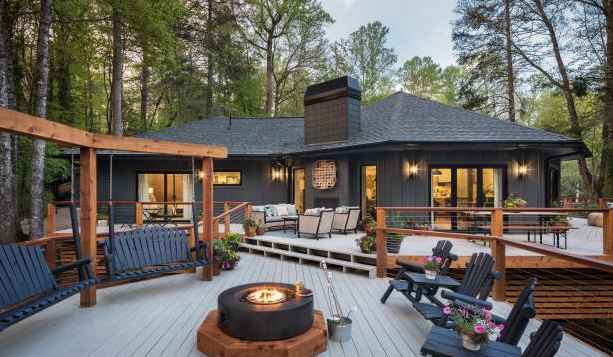 Enter the DIY Network Ultimate Retreat Giveaway Sweepstakes twice per day through September 26, 2018 for your chance to win a 3-bedroom, 2 1/2-bathroom private wooded retreat located in Sapphire, North Carolina plus $50,000 cash prize provided by Quicken Loans. How To Enter: Go to this link:www.diynetwork.com/ultimate-retreat during the sweepstakes period and follow the online instructions to register by entering all information requested on the registration form and once you filled out the entry form now Click on the submit button to complete the registration form. Prizes: One grand prize winner will win a 3-bedroom, 2 1/2-bathroom private wooded retreat located in Sapphire, North Carolina, Beautiful furnishings and custom design and $50,000 cash in the form of check. When To Enter: The Sweepstakes entry begins on August 6, 2018 until 5:00 p.m. ET on September 26, 2018. Who’s Sponsor: The DIY Network Ultimate Retreat Sweepstakes is sponsored by Scripps Networks, LLC d/b/a DIY Network, 9721 Sherrill Boulevard, Knoxville, TN 37932.